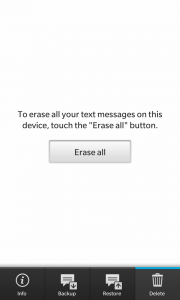 « Super Hexagon for BB10 updated! 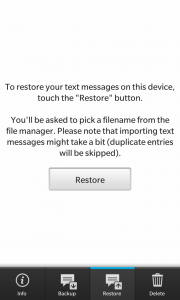 SMS Backup for BB10 now available! 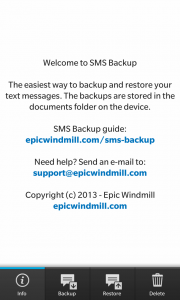 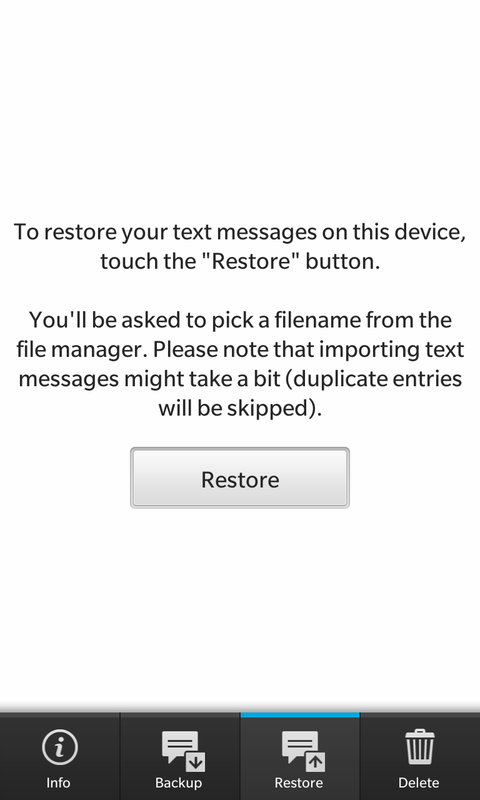 Epic Windmill is proud to present SMS Backup, a complete text message backup and restore solution for BlackBerry10 devices. 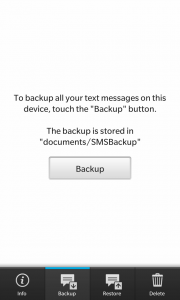 Whether you want to backup your text messages or want to import your (old) text messages from a BlackBerry10 or Android device, SMS Backup is here to help you.